Straight Talking - a Guest Post from Our Favorite...Brett! — Run, Heifer, Run! Straight Talking - a Guest Post from Our Favorite...Brett! If you haven’t read ‘The loneliness of a long distance runner’ by Alan Sillitoe, it’s worth a read. If you haven’t heard the song of the same name by Iron Maiden then you haven’t missed much. If it’s songs with running in the title you need, there are better. Most of my runs are solo. Although a long run can be passed effortlessly with miles slipping by with a buddy, with many topics covered, there is something about the solitude I crave. The silence without, the dialogue within. Herein lies the paradox. I think it wouldn’t be a leap of faith to say people need company. Our species is predisposed to interact. Psychologists would say loneliness is a negative condition resulting from a state of aloneness. People who desire more relationships than they actually have can develop feelings of loneliness. However, it’s not the number of relationships that determines whether people feel lonely. 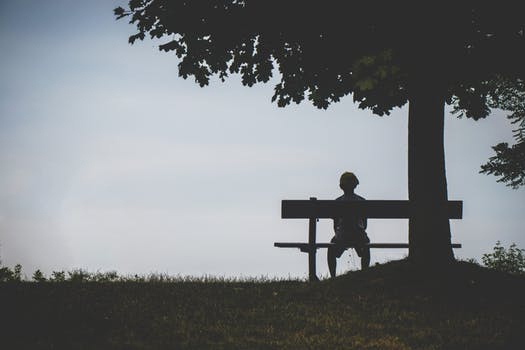 It is the emotional and cognitive reactions the individual experiences in relation to these connections that plays a role in experiencing loneliness. In layman’s terms, a mindless chat with a stranger probably won’t cut the mustard. As a child I found social situations awkward and, most of the time, incredibly difficult due to an accident which left me with partial hearing loss. If you can’t hear, you can’t talk. During my formative years I tried to conform to social etiquette. I marveled at the apparent ease my peers mastered ‘small talk’. Put simply I tried, but failed, to communicate easily with others. I remained lonely. Fast forward to my mid 40’s and I have rediscovered running, initially to lose weight and stay fit. However, like Sillitoe’s character Smith I discovered the significant advantages of meaningful inner dialogue. As the dialogue continued my confidence grew. I launched a twitter account, I started chatting to other runners and for the first time I felt connected (albeit online) to a group of likeminded people. Yet the face to face meeting still left me ill at ease. I started and finished races alone. Until I became the proud recipient of a visor from Racecheck. The innoxious silver package changed everything. In 2017 I went to my first race sporting my visor. I can’t deny I felt proud, I felt confident and more importantly I now had a simple reason to talk to other #visorclub clad runners. Yes, they were all strangers however, I quickly discovered they were strangers with common interests, goals and indeed fears. For the first time in my life my friendship circle started to grow exponentially. Running should be an incredibly unsociable pastime. A long slow run is effectively two, maybe three hours, with nothing but the passing landscape and time, like Smith, to mentally reflect. However, I now feel more connected than at any other because I know there are literally thousands of runners who are also part of a beautifully supportive (and chatty) community. I’m still socially awkward and honestly that is unlikely to change, but I’m not lonely any more.